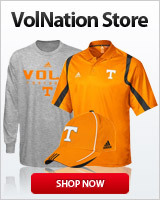 Ok so I'm new to Volnation as a member and poster but have been watching this site for years. I've been a dedicated Vol fan for my entire life. Shout out to the inside guys and especially my guy for the info, BGS. Now, with that said, how do I ignore ****ing idiot dumbass negavols like Dobbs 4 Heisman and others. I love Dobbs but I also love Crouch. Huge get! Thanks in advance. Go Vols! Stevens had 35 tackles as a second year player on a good, very talented LSU defense. He was a consensus 5-star recruit. You really happy with 35 tackles and one good game in Year 2? I said he was nothing to worry about when we lost out on his recruitment and I was right. If he was on our roster he wouldn't be starting for us next year. Nigel Warrior and Flowers have the safety spots locked up and are far better players. Back in 2017, I told yall Jacoby Stevens (a consensus 5-star prospect) would be a bust and we shouldn't sweat losing him to LSU. Two years later he's not cracked LSU's lineup. I also said Maleik Gray (a high 4-star prospect) who we signed wasn't special and was not that big a pickup for us. Two years later he too has yet to crack the lineup. The guy who I said we would regret missing out on was Tee Higgins. And two years into his collegiate career he is a surefire superstar who will be a 1st round pick in the NFL draft. My track record on this front is pristine. If I tell you Crouch is simply the next Courtney Upshaw and nothing more, then you can take that to the bank. Its a lock to happen. Like I said. You throw a big blanket over a bunch of players then claim you are an "expert" when you get a couple right. People MUCH more knowledgeable than you here could do that... only much better. You act like a know it all but you have to know down deep how truly ignorant you are. You never played the game. You have never performed any of the skills necessary to make a player "great" much less understand how truly difficult it is. You're clueless. My my aren't you emotional today. We need a D4H & OD Sports call-in show. Volnation Roundtable with D4H, OD, Titans Bill, and Steve from Lexington. It would sweep the ratings. Coaches room during NC FTW. And Tux. Tux is known for his table presence. Well if D4H thinks he'll be average, go ahead and give him an All-American spot now. If it's too early to write off Kaaya isn't it too early to write off Stevens...? Got to look at their eyes...and the curvature of their buttocks. When you move the cursor to their screen name in the left margin, a popup window opens. Left click on Ignore. You prolly have to be Logged In. He's all about some LSU.